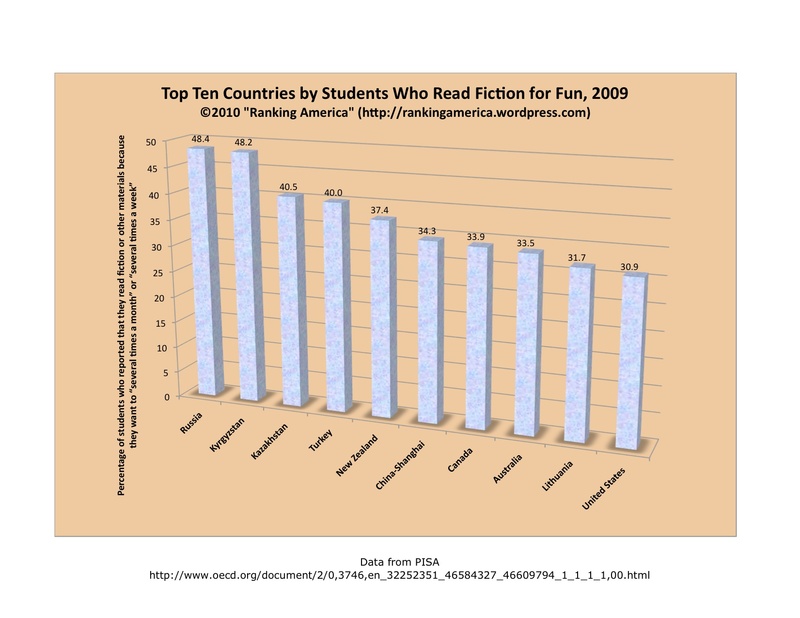 According to the 2009 PISA results, 4.5% of American students report that they read comics or other materials (but not fiction) for pleasure on a regular basis. 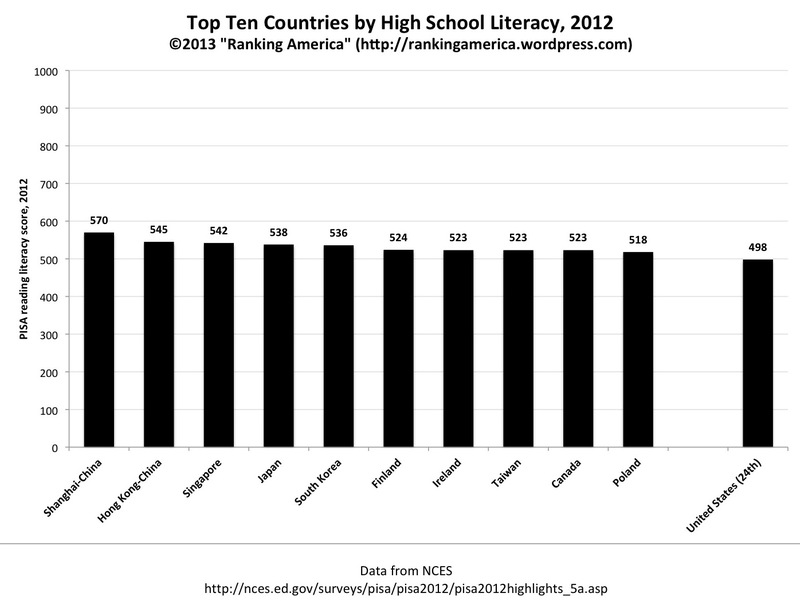 That is enough to make the United States rank sixty-second out of sixty-five ranked economies. 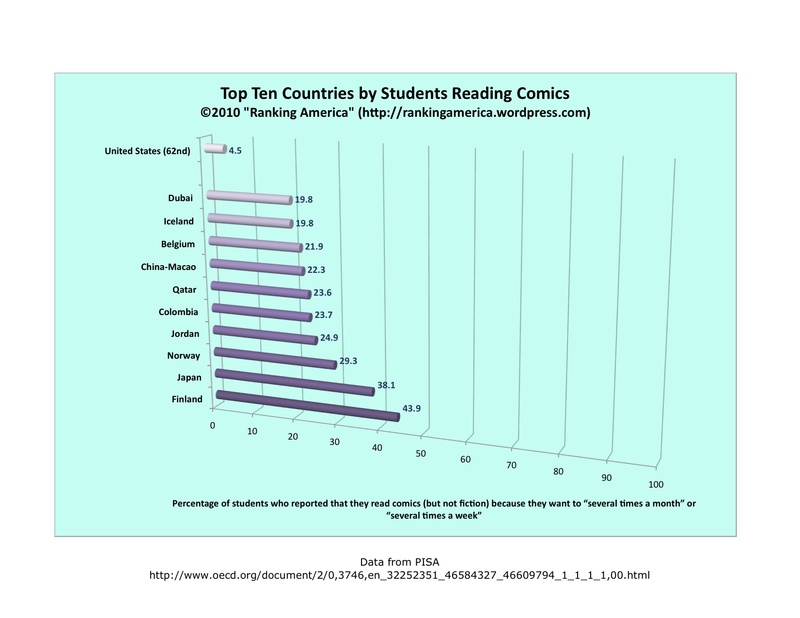 Finland ranks first, with 43.9% of Finnish students reporting that they enjoy reading comics. 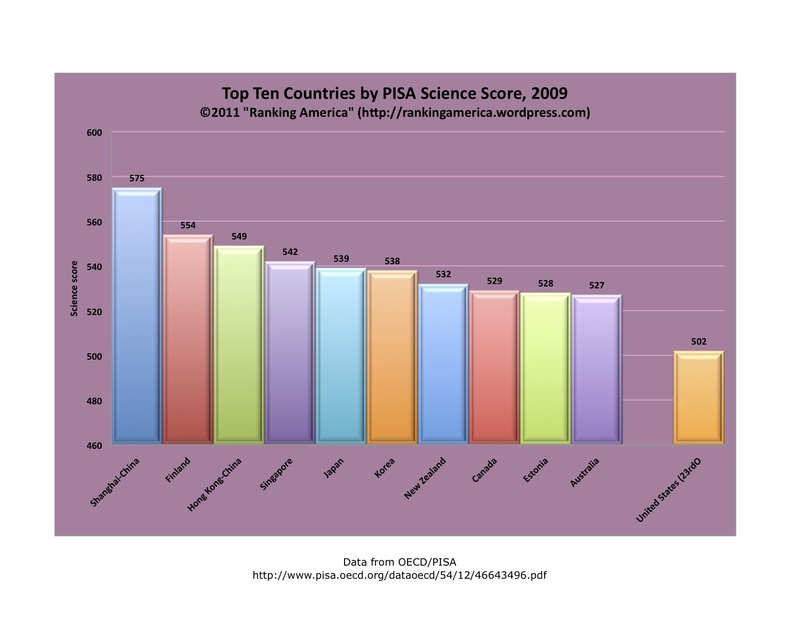 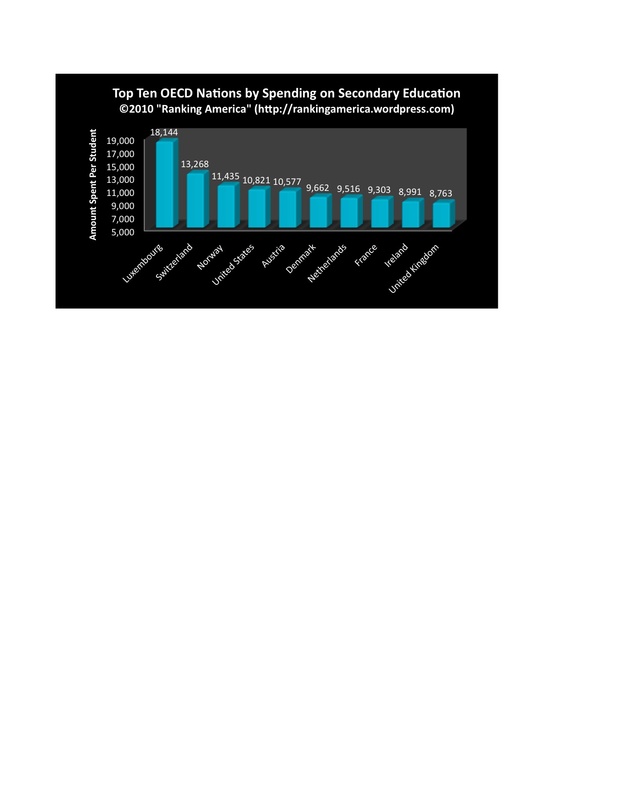 According to the Programme for International Student Assessment, in 2006, 1.0% of female students in the United States scored at a Level 6 (669.30 points or higher) on the international mathematics assessment. 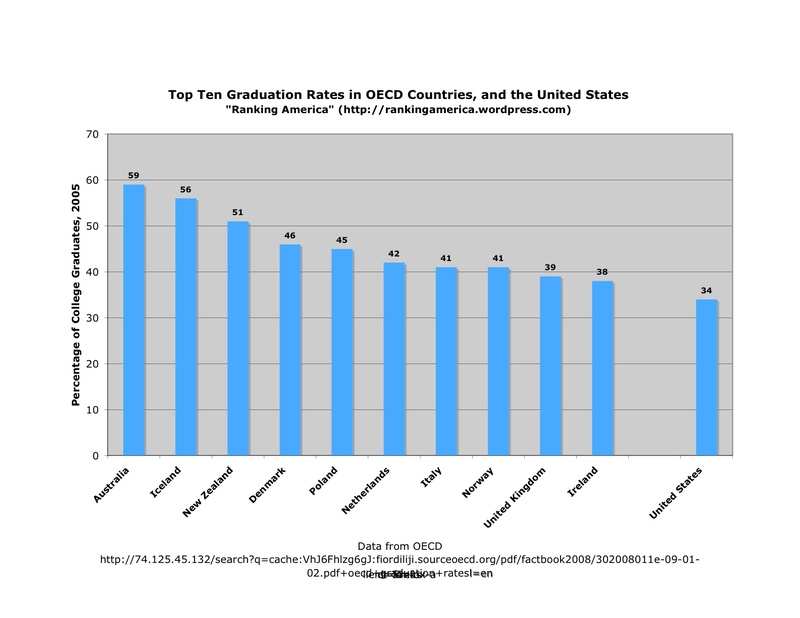 That was enough to make the United States rank thirty-first out of forty-four OECD and partner nations. 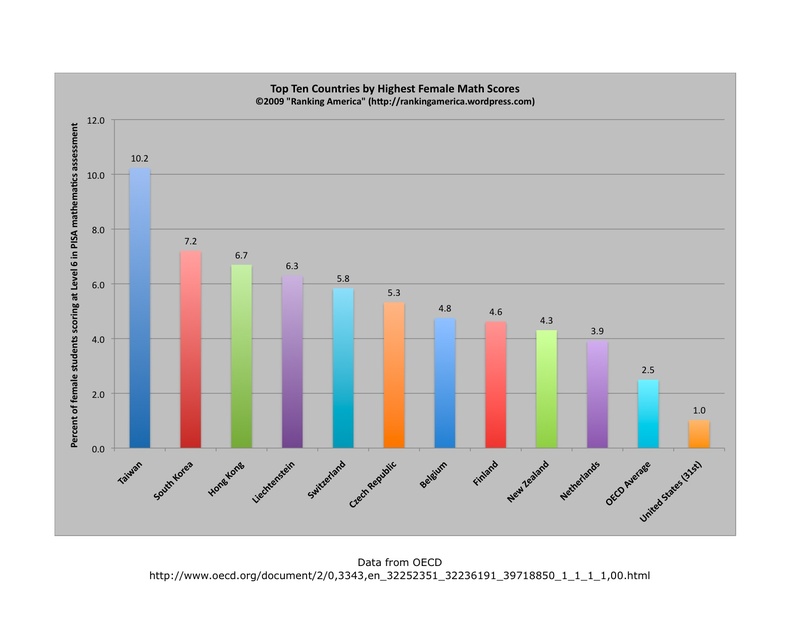 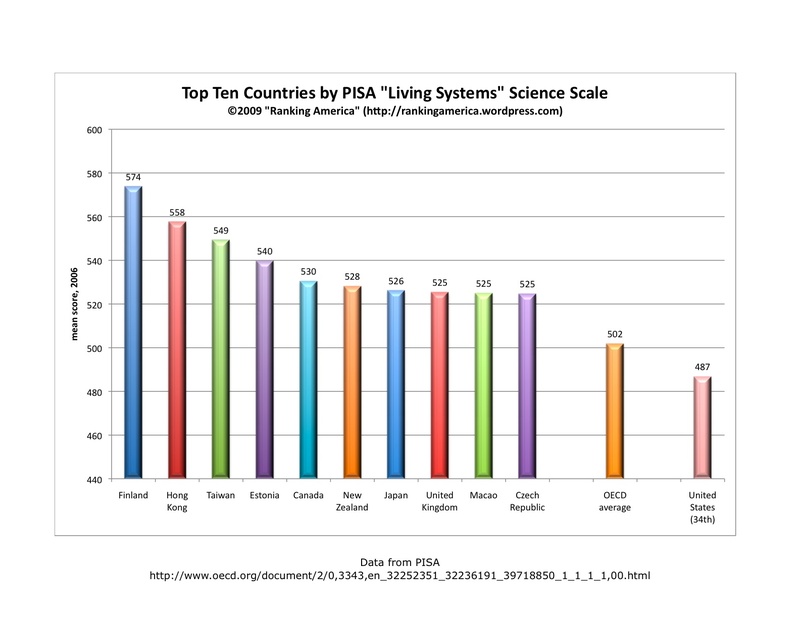 Taiwan ranked first, with 10.2% of female students scoring at a Level 6. 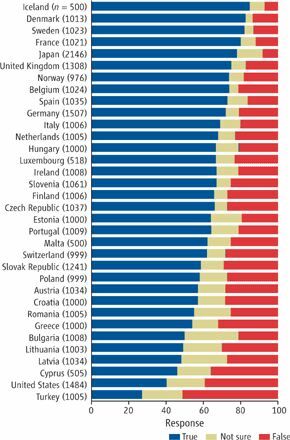 The OECD average was 2.5%.